Posted on 28/03/2013 by U.N.
Last night the steel workers at the DUFERCO, La Louviere plant in Belgium accepted the closure of their plant and a redundancy package offered by the company. The electric arc steel making shop and the wire rolling mill will be closed and eventually mothballed. 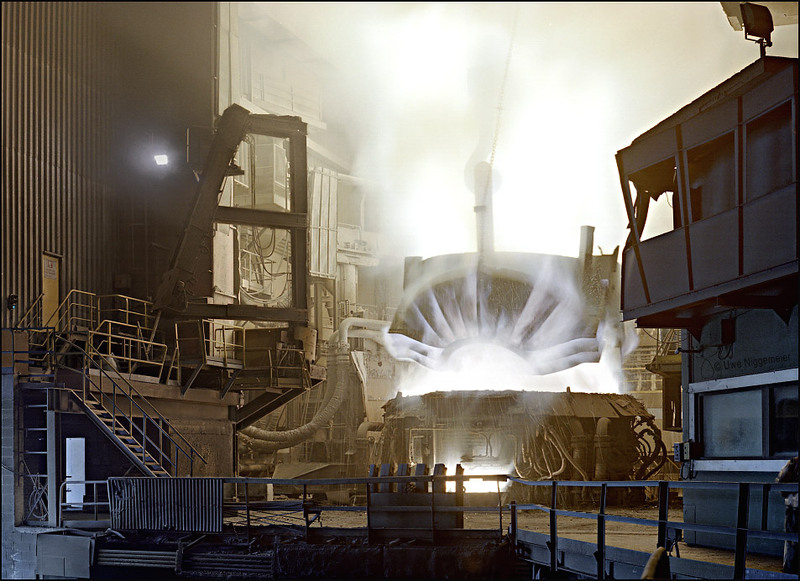 Only the strip rolling mill, owned by the Russian NLMK group will survive. The mill in La Louviere was founded in 1853 as “Fonderies et Laminoirs Ernest Boucquéau”. When Ernest Boucquéau died in 1880 he inherited his steel mill to his plant manager Gustave Boël. 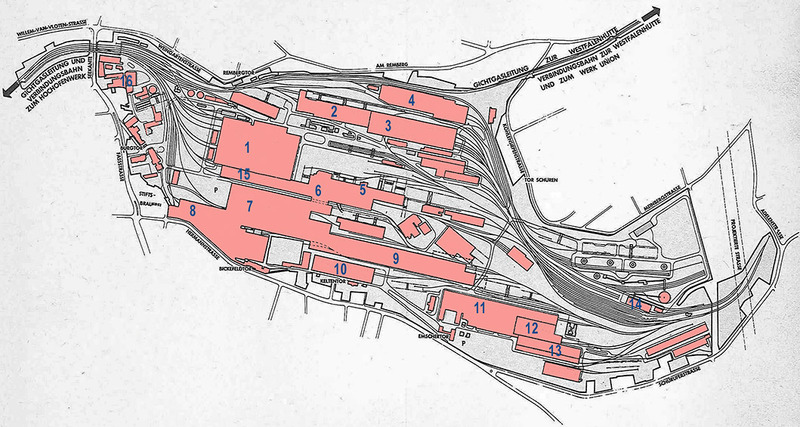 Based on local coal deposits a large integrated mill grew on the banks of the Charleroi-Bruxelles shipping canal. 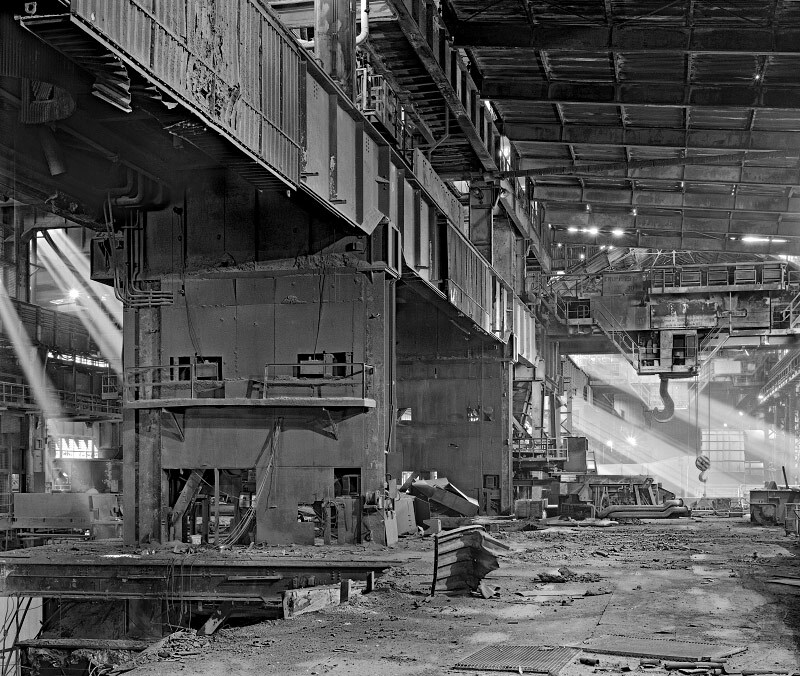 A Thomas-converter melt shop was installed in 1903 and in 1912 the construction of two modern blast furnaces began. After destruction in the first world war the mill was restarted in 1924 with two blast furnaces, a coke plant, a Thomas-converter steel making shop, an open hearth shop, several rolling mills a foundry and a forge. Two new blast furnaces were built in between 1930 and 1937. In 1967 a new BOF shop containing two 85 ton LD-AC converters was completed. A third converter was installed in 1969. Blast furnace no. 6 was built in 1972. The coking plant, built in the 1930ies, was closed in the 1980ies and than dismantled. 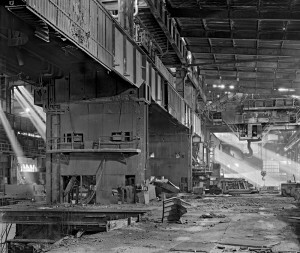 In 1993 new 85 ton electric arc melt shop was installed. The Usines Gustave Boël (UGB) were partly taken over by the Hoogovens steel group from the Netherlands in 1997. In the same year the last blast furnace and the BOF shop are closed down. 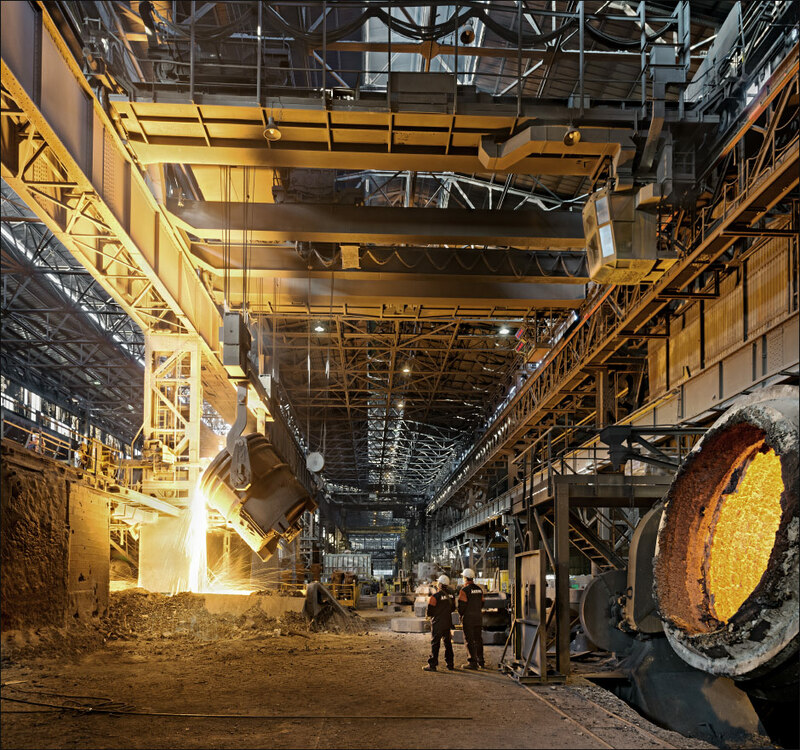 In 1999 the DUFERCO steel group acquires the plant. In 2003 the unique row of blast furnaces from four generations (1912, 1930,1958,1972) was demolished. In 2011 the Russian NLMK group took over the flat rolling activities from DUFERCO who kept the steel making and wire rolling part. Sparrows Point to be scrapped ? In August the 120 year old steel mill east of Baltimore was sold by it’s last owner, bancrupt RG Steel, to a liquidator . Sparrows Point, once owned by the Bethlehem Steel company, was the largest steel mill in the world by the end of the 1950ies, even larger than US Steel’s Gary works. 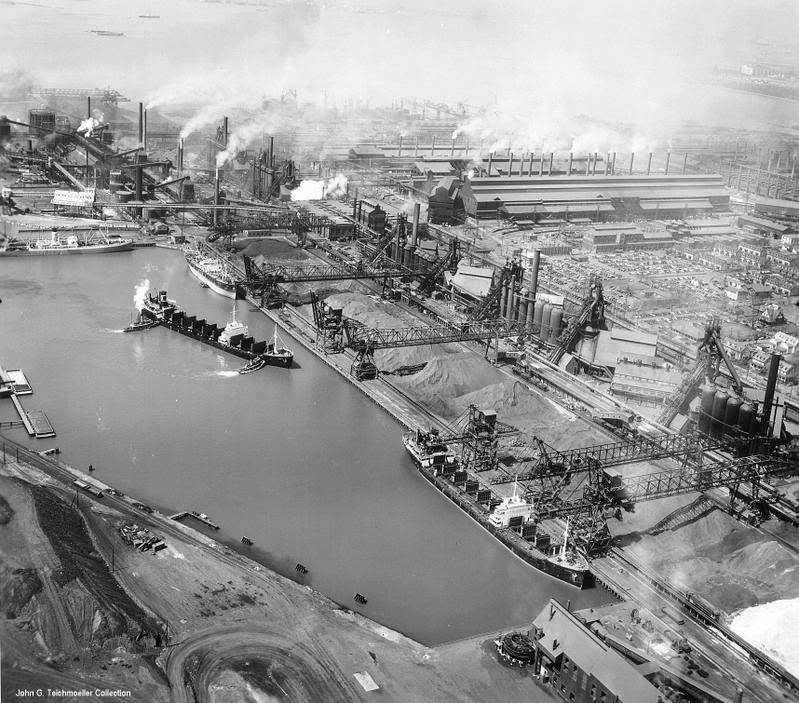 Sparrows Point used to be the only integrated steel mill by the sea in North America. Chances for a reanimation seem to be slim. Today the site is already widely desertet.